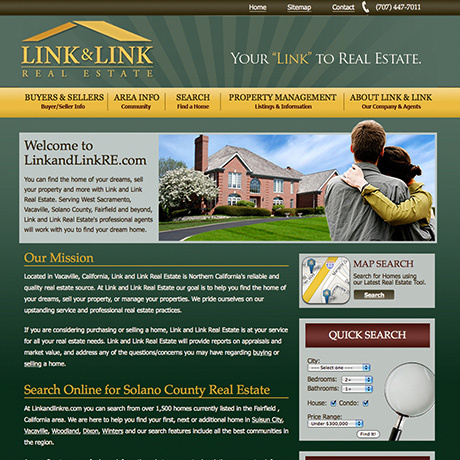 To provide real estate search functionality, Link and Link Real Estate integrates the iHomefinder real estate functionality into a custom design. 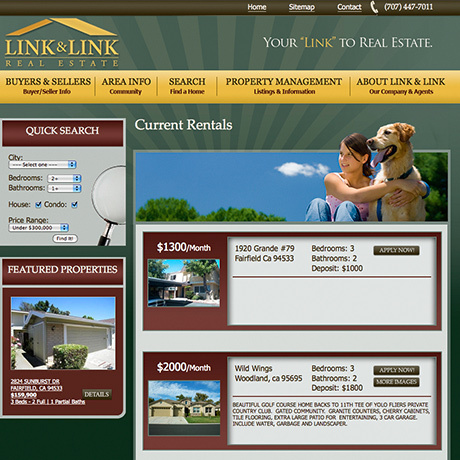 This allowed us to provide highly functional features at a more reasonable price. 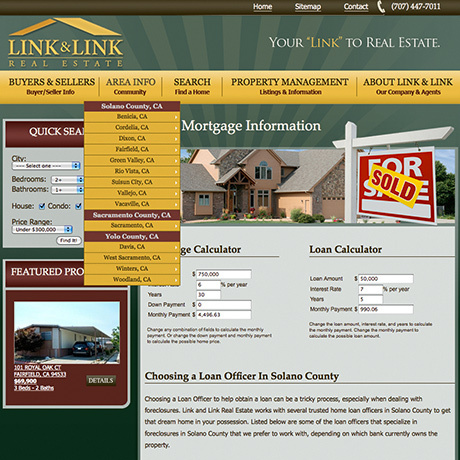 In addition, The Design Group integrated CushyCMS to introduce updating capabilities for the client, while still maintaining a reasonable price point. 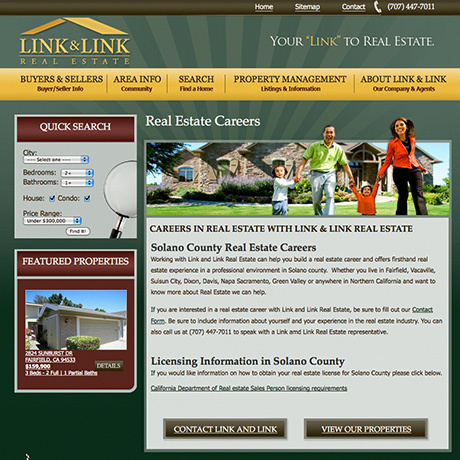 Link and Link thus became a prime example of a highly functional website created with budget in mind through the integration of third party tools and resources.